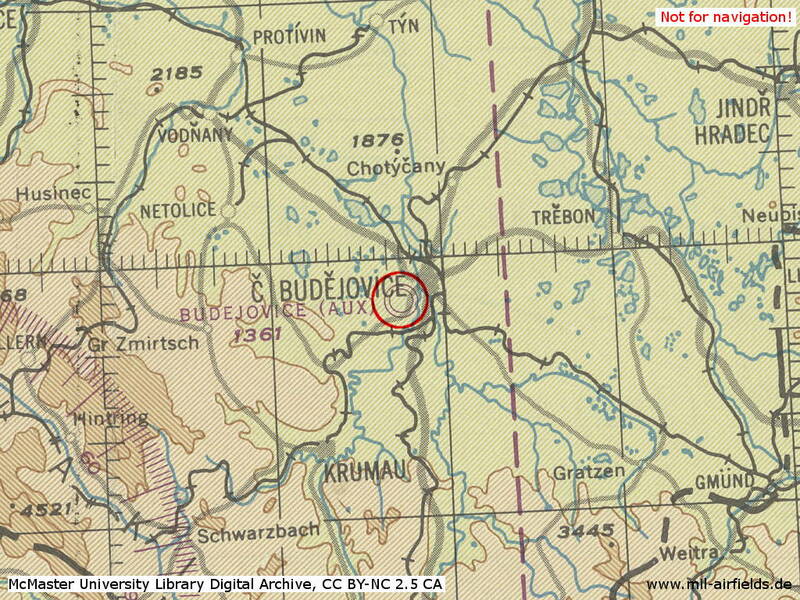 6 km southwest of České Budějovice. 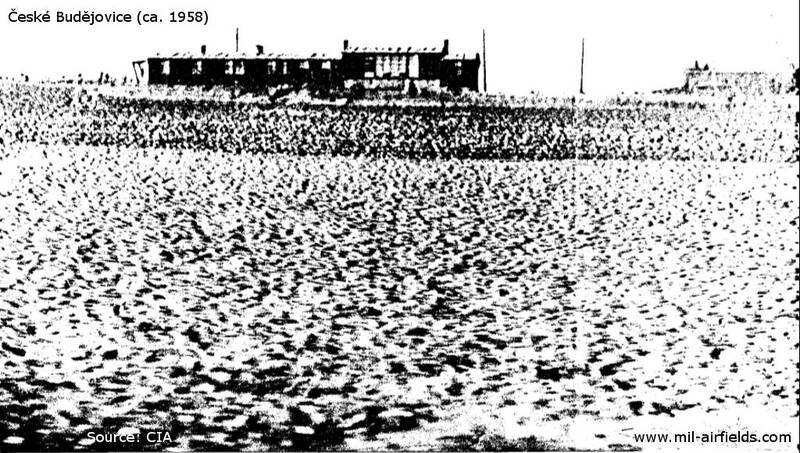 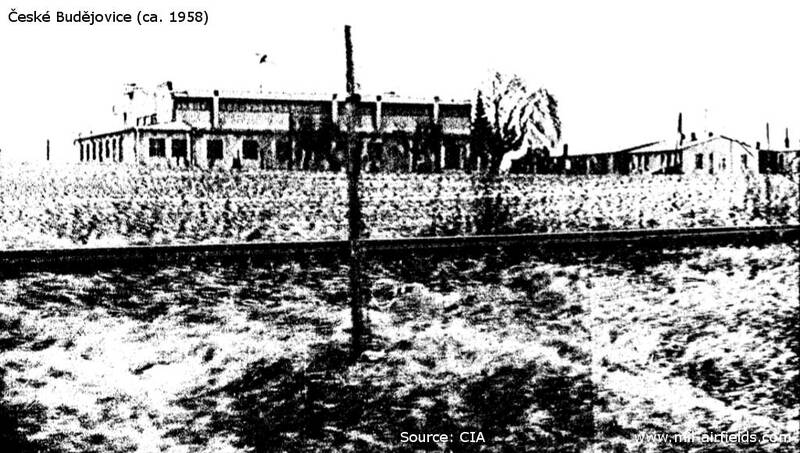 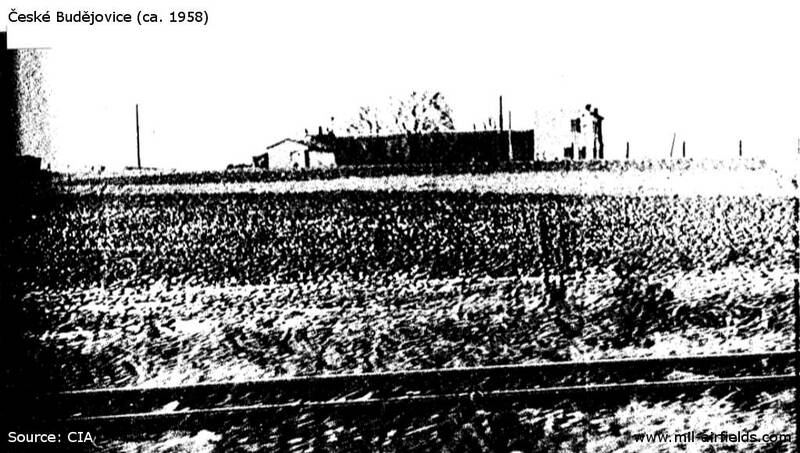 The following pictures of the airfield probably date from 1958 and were taken for the CIA. 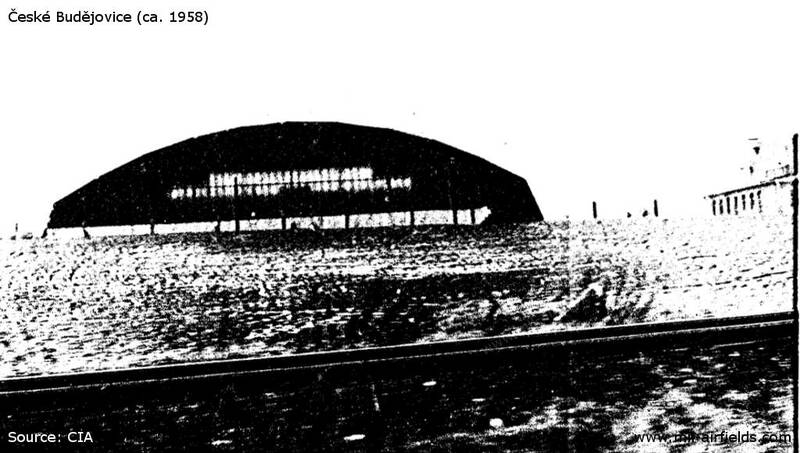 The radio call sign of the airfield was "RENTA" (198x). 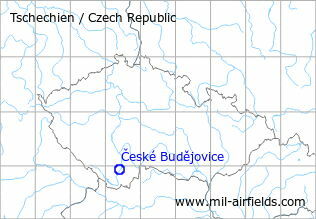 According to western signals intelligence (SIGINT), the airfield was also called "Navigacni Punkt 100" by the Czechoslovak Air Force.